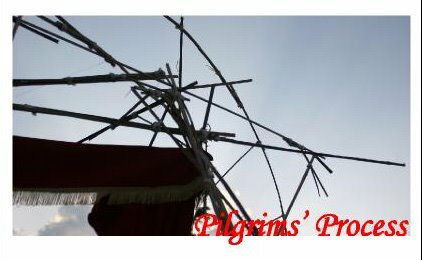 This is a blog about "Pilgrims' Process. 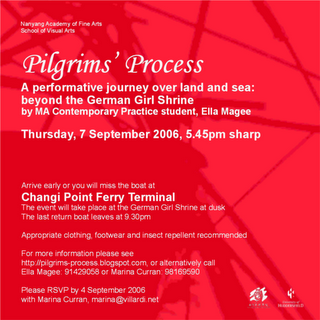 A Performative Journey Over Land And Sea: Beyond The German Girl's Shrine" by Ella Magee. The event takes place on Thursday 7th September 2006, 5.45pm sharp. 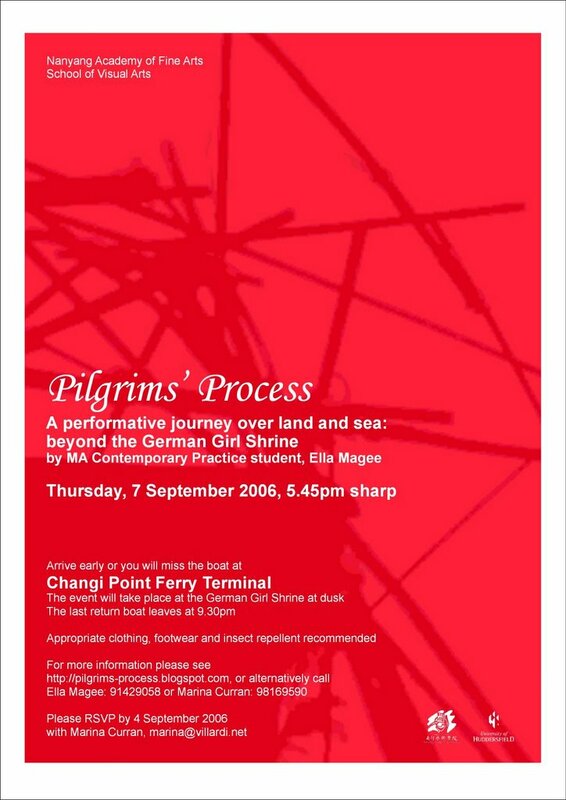 Arrive early or you will miss the boat at Changi Point Ferry Terminal. The event will take place at the German Girl Shrine at dusk. The last return boat leaves at 9.30pm. Appropriate clothing, footwear and insect repellent recommended.